Simon Wales provides some advice on the purchase of soccer balls, soccer shoes and shin guards. 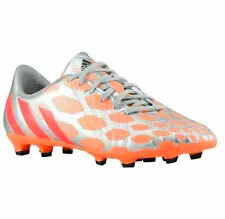 Suitable soccer equipment is necessary for a good game. Just like with all other types of sports equipment, quality will vary according to the brand and product. Soccer is among the popular sports worldwide and people of all ages spend their time on soccer fields competing for elusive goals. Soccer is an accessible activity that anyone can play as long as an open and flat space or ground is available. Whether you plan to play occasionally or competitively in a league, buying quality gear is highly recommended. 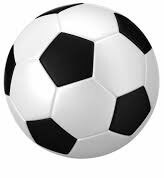 The ball is generally regarded as the most important piece of soccer equipment. Different types of soccer balls are available with a variety of price ranges. Prices are determined by factors such as size, construction and brand. Balls are also made from different materials, including leather and rubber. Synthetic covers are durable and are commonly used during competitions. Well-stitched balls ensure that the seams are strong or thermal bonding for a smooth surface and enhanced durability. The lining of the soccer ball creates its overall feel and shape. The smallest soccer balls are ideal for children and older players require larger balls with the appropriate circumference and weight. 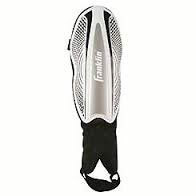 Shin guards offer protection and referees do not usually allow people to play if they are not wearing them. These are classified as safety equipment that protects players from leg injuries by helping to absorb the impact as the player kicks. The ideal shin guard will depend on how much protection you want and the position you play. For maximum protection and a comfortable fit, you should pair your shin guards with proper soccer socks. Youth soccer shoes/cleats are designed for paying on grass or indoor play. The soles are the main areas of difference between these types of shoes. Players are required to wear the right soccer shoes that are ideal for the surface that they will be paying on. Youth soccer shoes are vital for protecting the feet and providing control as well as grip. These specially designed shoes feature various designs to suit specific surfaces. When you play outdoors, you need shoes that work for both hard and soft surfaces. Playing indoors requires shoes that are designed for artificial turf to cater for sufficient traction. Indoor shoes are also designed for smoother floors that are found in some facilities. Shoes are built for different purposes and from various materials. Along with the conditions of the field you need to choose shoes according to their construction. Make sure that the shoe is comfortable because an ill-fitting or tight shoe can cause blisters during and after a match. The top part of the shoe is made from different materials such as synthetic material or leather. A leather upper is usually flexible and feels better when it contacts the ball. However, leather will absorb water if the field is wet. Synthetic leather lasts longer and is water resistant. While shopping for soccer shoes, remember that you will be wearing them with thick socks and shin guards for safety. Your shoes should fit comfortably when you wear them with the rest of your gear. Simon Wales has worked as a journalist for more than a decade. He moderates a number of online forums that are aimed at helping aspiring writers and operators who want to advance their careers and improve their skills. Find out more at www.sportsgearlab.com.